I’m exaggerating here. It’s two magazine covers, that hardly qualifies as a month conquered. At the same time, it feels like a big deal to me. One day, maybe it won’t feel like anything at all because it won’t be unusual. For now, though, it’s something to highlight. Lana Condor covered the March 2019 issue of Cosmopolitan and when that came out in February, I wrote that I couldn’t remember the last time an Asian woman covered Cosmopolitan. A month later, she’s covering the April issue of ELLE Canada. In the interview, Lana talks about her new puppy, she talks about being adopted, and she talks about always wanting to star in a rom-com but not really believing in the dream because rom-coms typically don’t feature Asian leads. Jenny Han, who wrote To All The Boys I’ve Loved Before, has previously shared that she got a lot of pushback for insisting on Lara Jean being played by an Asian actor. Now Lana Condor’s breakout role is from being in a rom-com. And she’s covering fashion magazines two months in a row. 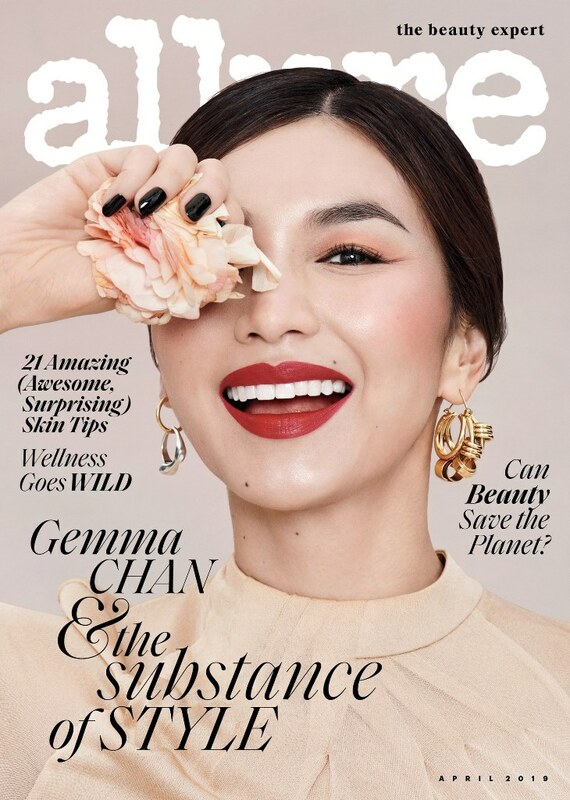 You know who’s on the cover of American and British ELLE for April 2019? Taylor Swift. This is not an insignificant month at the newsstand. If we’re talking about painting over things back then and where we are now, well, it’s April 2019, and two Asian women are on two different covers, and there could be more, sure, but the point is, maybe, hopefully, we’ve gotten to the point where they can’t be painted over, not when they’re on the front page. 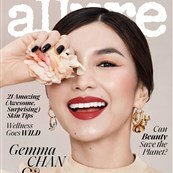 Click here for more on Lana Condor in ELLE Canada and here for Gemma Chan’s interview with Allure.